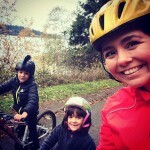 Safe biking, physical fitness, and health are especially important for Isabella and her peers. According to the Centers for Disease Control, 1 in 3 children born in the year 2000 and after will get diabetes. If they are Hispanic, this number goes up to 1 in 2 children. 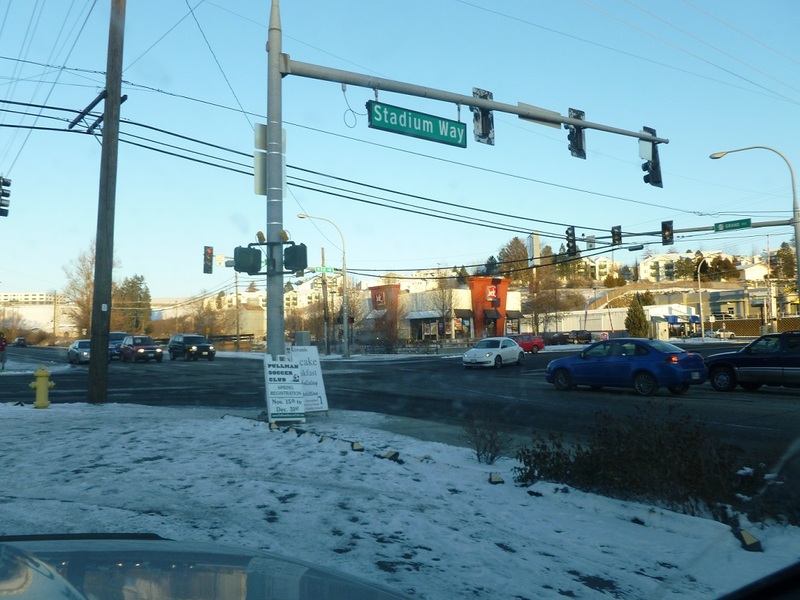 Stadium & Grand: The busiest intersection in Pullman, which is located on the edge of WSU’s campus, restaurants, shopping center, grocery store, and where the main drive/approach to Pullman High School is. There is an epidemic of childhood obesity for this age group; as the CDC reports, “In 2010, more than one-third of children and adolescents were overweight or obese,” along with the projection that these children are set to live shorter lives than their parents. Yikes! Creating and sustaining an active lifestyle for children is critical for empowering them against things that can adversely affect them. Even though riding bikes is fun and practical for her and for me, she is getting health benefits that are greatly needed. In a few short years, Isabella will start high school, and if the high school she and 1,000 other local children will be attending is in the current location with today’s transportation thinking, they will have no safe and bike-friendly way to ride to or from their school. Recently, the Pullman community voted to approve a bond that allocated $50 million to demolish, rebuild, and renovate the high school at the current location. This decision did not take into account the walkability or the bikability of the school’s siting in proposing to remain in the same location, as opposed to building in a new bike-accessible location. 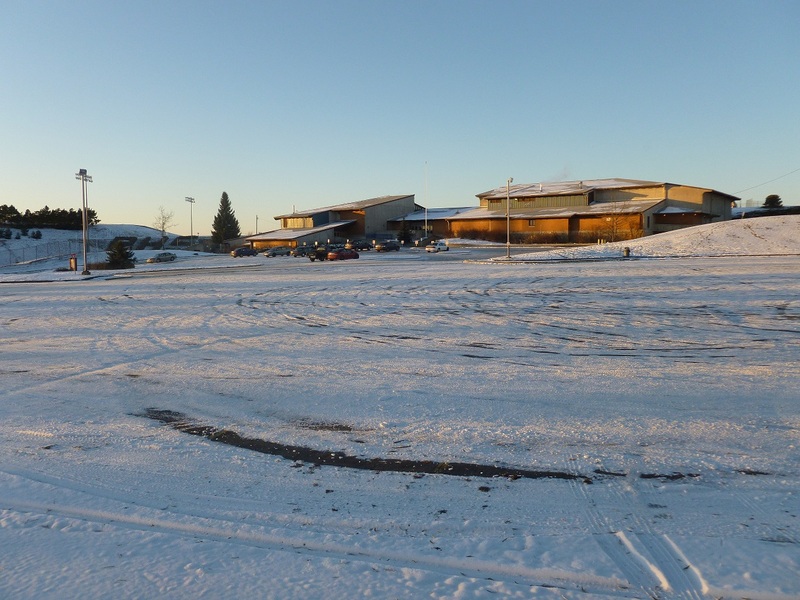 Of the 5 public schools in the Pullman school district, the high school receives the lowest Walk Score of all the schools, which is 31 out of 100 and is labeled as “Car-Dependent.” A GPS profile shows the site of Pullman High School on top of a 10.% percent grade! 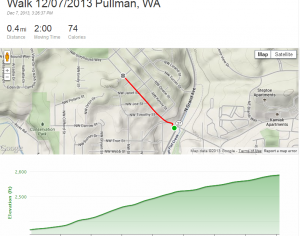 This Strava file shows the major route to Pullman High School–up a 10.5% grade. This is very upsetting for me as I think about all the children who currently ride to and from the elementary and middle schools, but who will not be encouraged to ride to and from Pullman High School, simply because it is on top of one of the steepest and most unsafe hills in town. 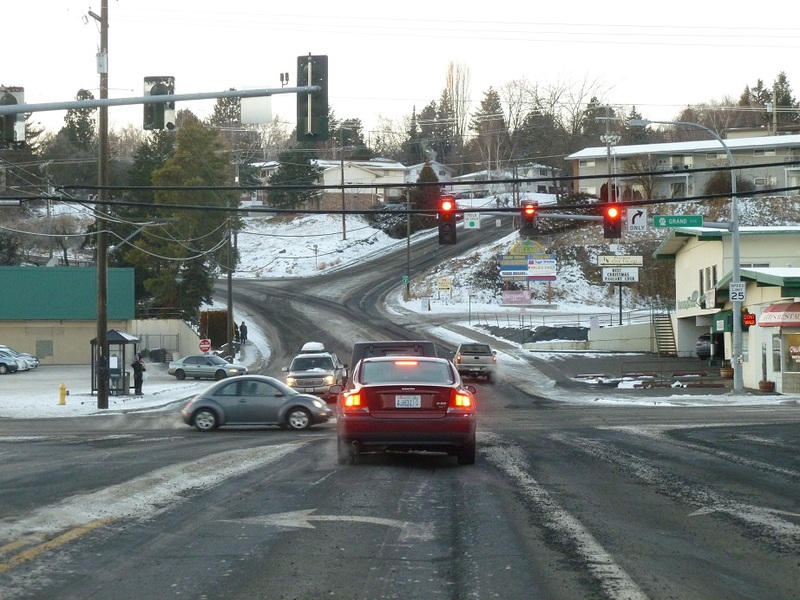 This is not to mention that even getting to the section of town that is needed to attempt the incredibly steep hills takes children through intersections that also happen to be the busiest in town, according to a study that mapped all bicycle and/or pedestrian-involved collisions done by the City of Pullman and listed in their Pullman Pedestrian Bicycle Circulation Plan. 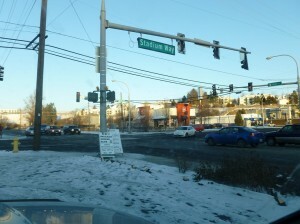 But there is still time to voice concern about the high school siting decision and to ask that a high school be built with transportation connections that support the health of the age group that uses its facilities (14-18-year-olds, along with their teachers, parents, and administrators). 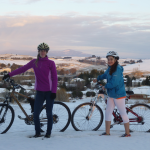 I’m calling on the biking community and the community of Pullman, Washington, to embrace a new and safer way to accommodate multiple modes of transportation. I ask us as a community to create a multimodal framework that creates clear paths for all abilities and for all ages, especially those in grades K-12. 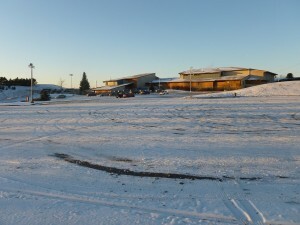 This may well require the high school to be built in a different location that is bike-friendly. Right now, not many students bike to the high school simply because the location of the high school campus is not bike-friendly and no biking connection of any sort exists to encourage more people to bike there. 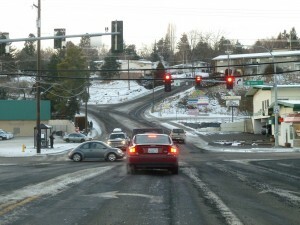 Hall Drive, the main road up to Pullman High School, with a 10% grade. 1) As a community that is home to research and innovation we should plan for the future. We need to acknowledge a “structural shift that is largely rooted in changing demographics, especially the rise of so-called Millennials—today’s teenagers and twenty-somethings,” that is adding to the trend of young Americans driving (cars) less” (“Young Americans Lead Trend to Less Driving,” New York Times, May 13, 2013). 2) In addition, a study of nearly 20,000 children ages 5 to 19 years old who cycled or walked to school showed that they “performed measurably better on tasks demanding concentration, such as solving puzzles, and that the effects lasted for up to four hours after they got to school” (”The Link Between Kids Who Walk or Bike to School and Concentration,” The Atlantic, Feb. 5, 2013). Simply put, our children will do better in school if we encouraging biking and walking. Pullman High School parking lots. As part of the high school reconstruction, the extensive parking will be expanded to add 14 additional parking spaces for cars. No additional bike access will be included. For most people, biking to Pullman High School isn’t even on their radar. With a $50 million investment before us intended to educate children, maybe bike-accessibility should be a higher priority than it is today since it contributes directly to student performance and is one of the easiest and healthiest forms of transportation for the students who attend. Pullman High School can be placed within the physical fabric of our landscape in such a way that we create a more equitable and livable city based off values and principles that both the citizens of Pullman and the city government can prioritize, embrace, and implement—all for the sake of our community’s youth. If ever there were a time to make a decision affecting the present and future health of children, while showing that the adults overseeing the project are thinking comprehensively and long-term, the time is now with Pullman High School! Many issues and changing conditions in society are pressing upon today’s young people. Creating an environment that supports non-motorized modes of transportation and helps promote not just a lifestyle, but rather a higher quality of life, can be accomplished simply by placing the school in a better location. In order for the current location plans to move forward, the school district has to go through a process for the construction project. 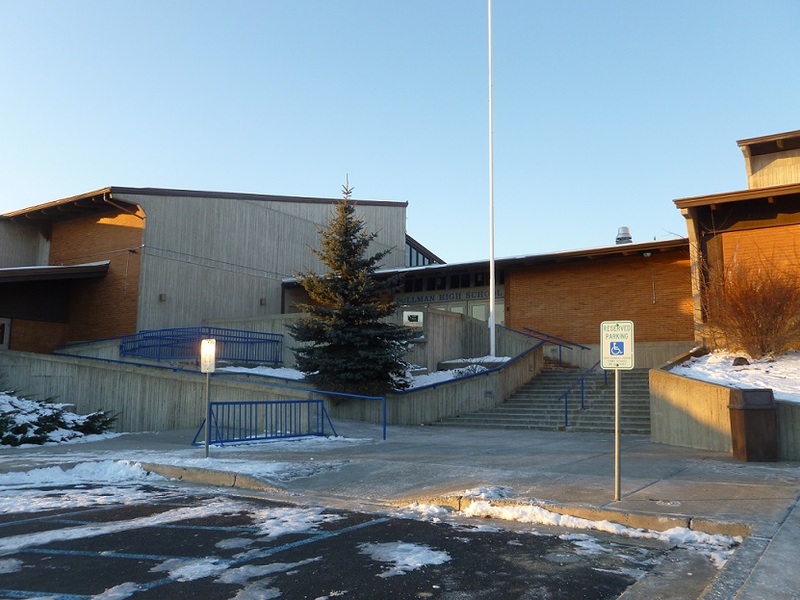 The next step is the Board of Adjustment hearing, at which time the Board has to decide whether or not to grant the Conditional Use Permit Application for Pullman High School. 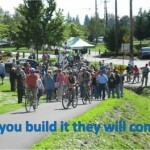 At that time, I hope people show up in support of the children and Pullman’s Comprehensive Plan, which the Conditional Use Permit must be “consistent with,” per Pullman’s City Code (17.125.020 Conditional Use Permits: Criteria and Findings), and to speak up about how bike-accessibility has been left out of the decision-making process, at least thus far. The hearing will take place on Monday, December 16, 2013 at 7:30 p.m. in Pullman’s City Council Chambers. If you’re interested in receiving an email reminder about the chance to testify, email brush.j@husky.neu.edu. 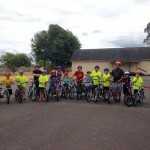 This article was posted in Advocacy, Education, Guest Blogger, Health, Infrastructure, Kids, Whitman County and tagged education, health, Pullman, Whitman County. Bookmark the permalink. Follow comments with the RSS feed for this post. Both comments and trackbacks are closed.